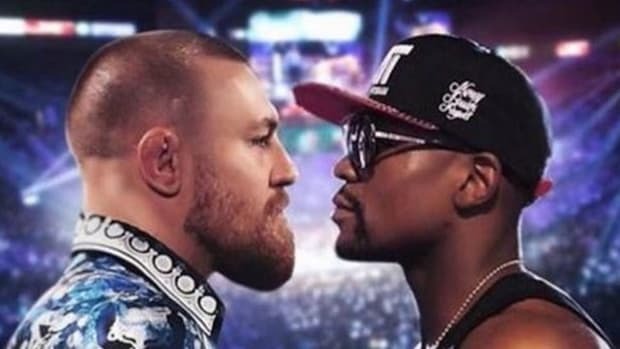 On Saturday night, the world's highest paid athlete Floyd Mayweather will take on Mexico's Saul 'Canelo' Alvarez in a fight for the Junior Middleweight championship of the world. Mayweather's increasingly bizarre lifestyle is becoming a hot topic of conversation: Will his detachment from reality have any bearing on the fight this weekend? 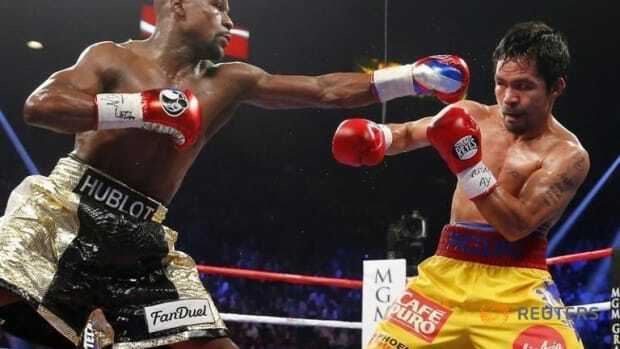 UPDATE: In a hard fought 12 round fight, Floyd Mayweather took Alvarez&apos;s WBC to become unified champion, cementing his status as the best boxer in the world today. Alvarez had his moments but Mayweather was one step ahead throughout the fight, and won via majority decision (with one judge inexplicably ruling it a draw). 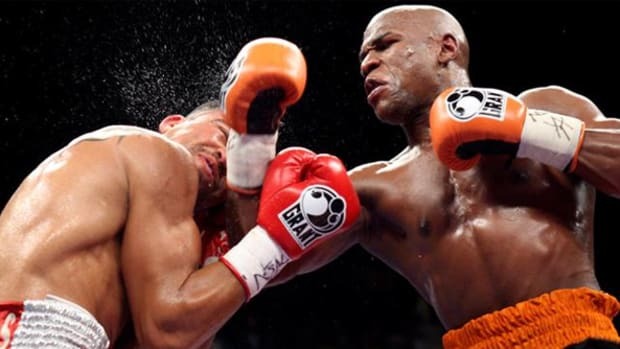 Mayweather remains unbeaten in 45 professional fights. Tomorrow night, the world&apos;s highest paid athlete Floyd Mayweather will take on Mexico&apos;s Saul &apos;Canelo&apos; Alvarez in a fight for the Junior Middleweight championship of the world. Mayweather owns the WBA World light-middleweight title, and Saul Alvarez the WBC belt. They are technically both world champions at the weight due to the increasingly meaningless slew of organizations (there&apos;s the WBA, WBO, WBC, IBF and IBO just for starters), but Mayweather is regarded as the best at the weight, and Alvarez second. 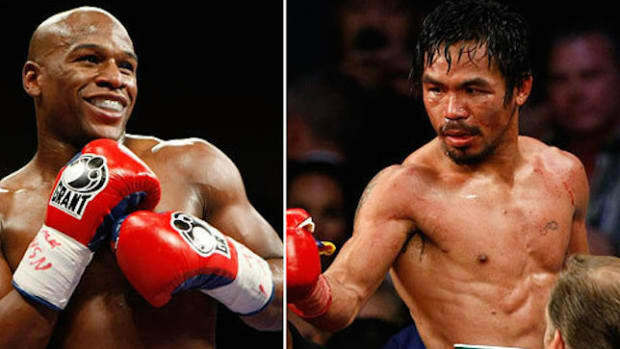 Both men are unbeaten and both go into the fight posing considerable problems for the other. The 36 year old Mayweather is slick, incredibly fast and a master boxer, while Alvarez is younger (23), bigger, stronger and getting rapidly better as a boxer. 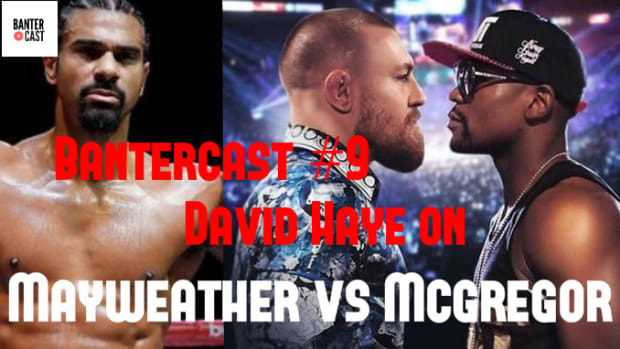 It&apos;s an interesting fight, but one that many believe Mayweather will win convincingly. The conventional wisdom is that he&apos;s simply too good and still operating at the very highest level of the game. But make no mistake, Canelo is a very, very dangerous opponent who has the potential to cause a very nasty upset should Mayweather make any mistakes. The red headed Mexican is supremely confident and given his very large size advantage (probably close to 20lbs when they get in the ring), he has the ability to put it on Mayweather and force the pound for pound king into some very precarious situations. Showtime has screened a four part series for the build up of the fight, following both men around as they prepare to do battle. It&apos;s entertaining stuff as we get to see the bizarre and often contradictory lives of two of the most dangerous men on the planet. Their ferocity in the ring, glamorous lifestyles outside of it and surprising tenderness with friends and family provides an endlessly fascinating spectacle. Viewers of the Mayweather/Canelo show have no choice than to be invested in one or both fighters - we&apos;ve lived with them and want to see which story of perseverance, hardship and dedication prevails. At the center of it all though, is Floyd Mayweather. He has masterfully created a public persona that has enabled him to transcend the sport, making any fight he takes part in a multi million dollar event. &apos;Money May&apos; - the ostentatious, flashy character we see on television was designed to be a figure of hate - a character we want to see beaten and humbled. And that&apos;s why he will get paid a minimum of $41.5m for his fight with Alvarez. Mayweather understands people love to hate him, and will gladly pay to watch a stream of opponents try and take him down. And while it may be partly an act, reports from inside Mayweather&apos;s circle point to an increasingly strange lifestyle where his public persona is perhaps precariously conflating with the actual person. Reports Steve Bunce in the Independent, "He [Mayweather] only wears pants, socks and shoes once and continually cleans his hands...When Mayweather travels he takes two private jets. One for him and his bag, stuffed with a million in cash, and a masseuse with eight-inch heels and fragrant oils for his feet. The other jet is packed with his bodyguards and the booty from an endless stream of shopping trips." 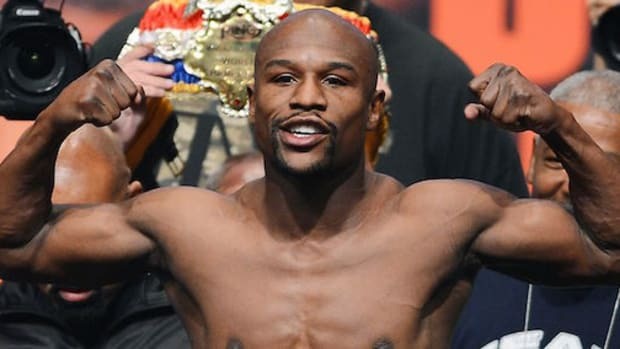 According to other reports Mayweather, "likes to use two private jets because he is afraid his beefy minders will make the plane crash if they travel with him." Bunce continues, Mayweather "has graduated from burning $100 bills, which was fine for shock value, to real bizarre behavior". This isn&apos;t surprising given the sport he participates in and the level he has attained. Elite fighters are complex individuals with several defining psychological characteristics. Along with exceptional physical genetics, extraordinary self belief, extreme mental toughness and a need to dominate are elements all great fighters have. Without them, fighters have no chance at the highest levels of the sport. It&apos;s an unforgiving, brutal game with immensely high stakes. A mistake in tennis means losing a point, while a mistake in boxing means losing consciousness, or worse, your life. To survive in it, particularly as long as Mayweather has (over 15 years as a pro) you have to be an odd character. And Mayweather&apos;s lifestyle reflects that oddness - the belief in his omnipotence and notion that he is special and separate from others. Mayweather is fond of calling himself "The Truth", referring to the mastery of his craft and supremacy in the sport. That belief has increasingly spilled into his personal life, further distancing himself from reality, which could one day come back to haunt him. 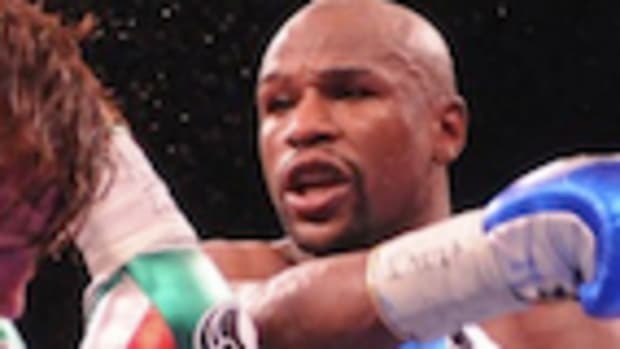 Mayweather is no longer a regular American sports star millionaire: he is a bonafide eccentric, joining the likes of Elvis, Michael Jackson and Howard Hughes in oddity and obsessiveness. MMA legend Anderson Silva, considered by everyone in the sport to be the greatest Martial Artist of all time, was unceremoniously knocked out by up and comer Chris Weidman at UFC 162 in July of this year. 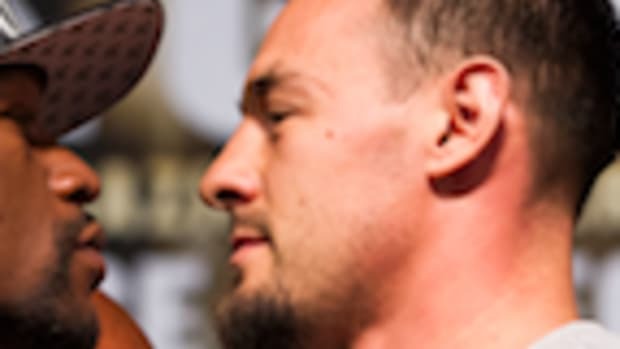 According to accounts from his own team, Silva had changed in the months preceding the fight, not taking his opponents seriously and believing he was unbeatable. On the night of the fight, Silva clowned around with Weidman, putting his hands down and inviting him to trade. Weidman did just that and promptly knocked Silva out. Mayweather and Silva are completely different characters both in and out of the ring, but they share (or at least shared) the steadfast belief that the rules don&apos;t apply to them. 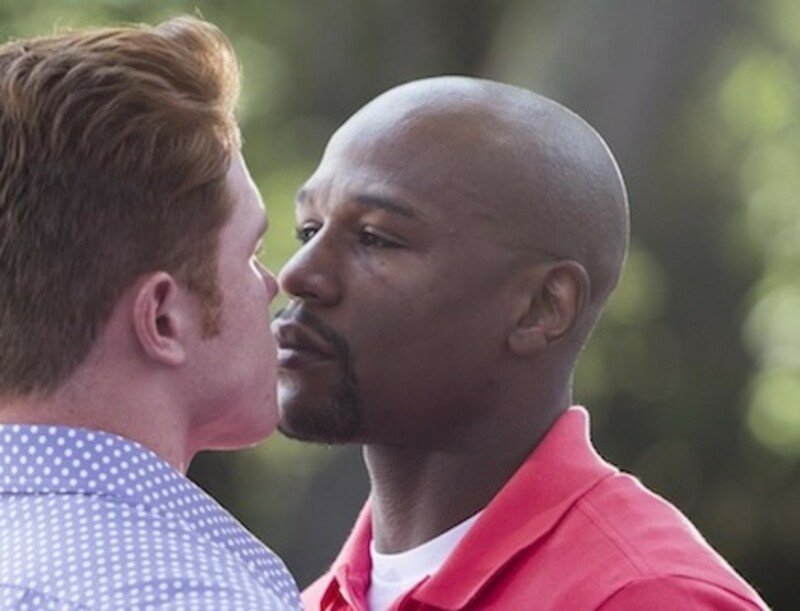 While Chris Weidman brought Silva back down to reality, Saul Alvarez seeks to do the same with Mayweather. "Without a doubt, I&apos;m going to win," Alvarez said at a press conference this week. "I&apos;m a firm believer that you only get nervous when you don&apos;t prepare or work hard. So I don&apos;t have nerves. Money doesn&apos;t matter to me, only winning." "September 14 is just another stepping stone, another opponent to me," said Mayweather at the final presser. "But he knows he&apos;s facing Floyd Mayweather; I&apos;m facing just another opponent." "I guess other fighters look at it as you win some, you lose some," he continued. "Me, I look at it as I want to win them all. I&apos;m a winner. I don&apos;t lose." And on Saturday night, we&apos;ll find out whose version of reality is correct.